The Rohingya refugees, who are also called stateless, are treated by the UN as the most persecuted and vulnerable group of people in this present world. The term ‘Rohingya’ was derived from the term ‘Rohang’, the ancient name of Arakan province of Myanmar. This name was given to those people who used to live mainly in the Arakan region during the 9th and 10th centuries. The Burmese people treat Rohingyas differently, often terming them ‘foreigners’ and sometimes ‘illegal immigrants’ as well. The chronic persecution inflicted on the Rohingya people is simply unabated demanding more humanitarian deals. As a result of the deliberate persecution in Myanmar, they have been forced to leave the country several times since 1961 seeking shelter in the neighbouring countries. The issue of Rohingya refugee crisis has a serious impact on the political concerns of the South Asian countries especially on Bangladesh and Myanmar. Since atrocities against Rohingyas in Myanmar force a mass exodus from Rakhine state, there is a growing concern about the migrant flows into South Asian States. Rohingyas are fleeing to Malaysia, Indonesia, Sri Lanka, India, China, Pakistan and Bangladesh leading to a raise in anti-Muslim and anti-refugee responses in the region. Despite this, Rohingyas hardly draw attention of the local and global architects as a Muslim minority in Myanmar as one of the most marginalised refugee communities in the Southeast Asia. As per the report of Amnesty International, since 1978 the Rohingyas continue to suffer from human rights violations in Myanmar under the regime of military junta and many have fled to the neighbouring States accordingly. The Rohingya influx from Rakhine has sparked concerns that politicians in several countries, e.g., Malaysia, Indonesia, Bangladesh and India could seek to exploit on public anger over the treatment of a group that’s considered stateless in Buddhist-majority Myanmar. The political and religious tensions among Buddhists, Muslims and the radicalised Rohingyas are somewhat many in the region want to prevent. Also pressure on the Association of Southeast Asian Nations (ASEAN) and especially on Indonesia to interfere is gradually increasing. Violence by the Arakan Rohingya Salvation Army (ARSA) has given the Tatmadaw an excuse to unleash a violent attack against the Rohingya minorities all together. Simultaneously, it shows people in and outside Myanmar that the military is the only institution that can protect the country’s stability. The Rohingya crisis seems to show the limitation of ASEAN’s response as a regional organisation to a humanitarian and political crisis. The crisis could also adversely impact the Asia Pacific and has the potential to weaken the ASEAN as well. No unified ASEAN response has been proposed to address the deepening crisis. Malaysia and Indonesia agreed to temporarily accommodate 7000 Rohingya, but this decision was more bilateral than through the auspices of ASEAN. Furthermore, both countries have emphasised that the duty to resolve the crises lies with Myanmar, the region and the world community at large and given duty to the world community as opposed to ASEAN to resettle the refugees. The latest Rohingya persecution of 2017 has been condemned worldwide and the world’s intellectual schools have treated it as ‘ethnic cleansing’ and urged the world’s leaders to take strict initiatives to stop this violence against Rohingyas. But our neighbouring countries including China and India so far did far less than what is expected in addressing the Rohingya crisis. Meanwhile, a number of Muslim majority countries, especially turkey, Indonesia and Malaysia, not only expressed their serious concern but also strived to extend their help. Keeping eyes on the ins and outs of Rohingya crisis the Prime Minister of Bangladesh tabled a five-point proposal at the UNGA. Besides, Bangladesh Government has entered into a repatriation agreement on 23rd November, 2017 with the Myanmar Government to repatriate 6,00,000 Rohingyas to their former habitual residence. The UNHCR argues that the member States of ASEAN lack any legal framework on the protection of refugees, which worked against formulation of a unified response in managing the crisis. This lack was evident in the fragmented responses of Malaysia, Indonesia and Thailand during the height of the crisis. It is worth mentioning that countries like Indonesia, Malaysia, Thailand and Myanmar have not yet ratified the UN Convention Relating to the Status of Refugees, 1951 and its 1967 Protocol. ASEAN, which has not usually been a leader on the issues of human rights and democracy, has a duty to play a pivotal role mainly considering the effect that this humanitarian crisis could have on different countries in the region. The issue of Rohingya refugee crisis is not new and has a profound implication on the political and economic matters that can be resolved by mutual cooperation among the South Asian nations and through taking tactful decisions by them. The important regional organisations, e.g., SAARC, ASEAN, and BIMSTEC should come forward in order to tackle the issue in a very fruitful manner. The Southeast Asian States should think whether it is logical to push Rohingyas back to violence-torn Myanmar or not. They also need to think that Rohingya crisis is not only Myanmar’s national problem but Rohingya crisis is a regional issue that need to be tackled at the regional level in a more comprehensive manner. Conversely ASEAN, India and Bangladesh should discuss the Rohingya issue together in order to work for the best viable solution to the problem. 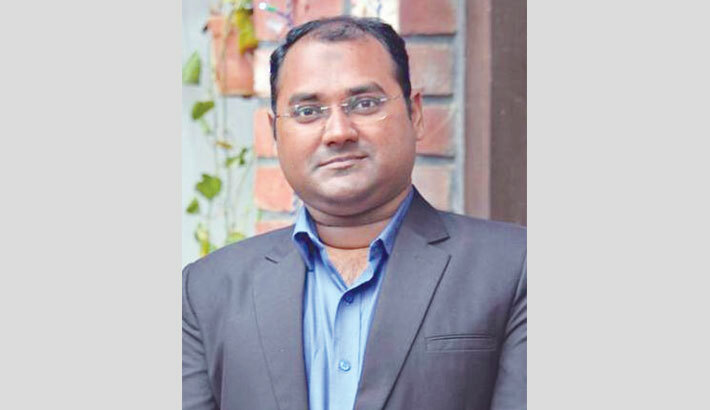 The writer is a Senior Lecturer in Law, Southeast University and Advocate at the Supreme Court of Bangladesh.